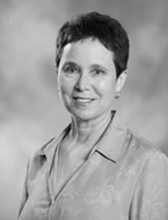 Dr. Pfefferbaum is a general and child psychiatrist at the University of Oklahoma College of Medicine, where she holds the Paul and Ruth Jonas Chair. Dr. Pfefferbaum is a professor in and the chairman of the Department of Psychiatry and Behavioral Sciences. Dr. Pfefferbaum helped plan and organize clinical services after the 1995 Oklahoma City bombing. In addition she has treated many victims and family members and is actively engaged in research related to the bombing. Dr. Pfefferbaum was a member of a fact-finding delegation led by the US Surgeon General to East Africa after the 1998 US Embassy bombings and has been active in mental health clinical and research efforts there. Dr. Pfefferbaum has provided consultation regarding clinical and research efforts associated with the September 11, 2001, terrorist attacks.